This article is about ethnic Bengali from various countries. For the people of Bangladesh, see Bangladeshis. Bengalis (বাঙালি [baŋgali]), also rendered as the Bengali people, Bangalis and Bangalees, are an Indo-Aryan ethnic group native to the Bengal region in South Asia, specifically in the eastern part of the Indian subcontinent, presently divided between Bangladesh and the Indian states of West Bengal, Tripura, Assam's Barak Valley, who speak Bengali, a language from the Indo-Aryan language family. The term "Bangalee" is also used to denote people of Bangladesh as a nation. Bengalis are the third largest ethnic group in the world, after Han Chinese and Arabs. Apart from Bangladesh and the Indian states of West Bengal, Tripura, Assam's Barak Valley, Bengali-majority populations also reside in India's union territory of Andaman and Nicobar Islands as well as Bangladesh's Chittagong Hill Tracts (which was originally not a part of Bengal), with significant populations in Arunachal Pradesh, Delhi, Chhattisgarh, Jharkhand, Meghalaya, Mizoram, Nagaland and Uttarakhand. The global Bengali diaspora (Bangladeshi diaspora and Indian Bengalis) have well-established communities in Pakistan, the United States, the United Kingdom, Canada, the Middle East, Japan, South Korea, Malaysia, Singapore, and Italy. They have four major religious subgroups: Bengali Muslims, Bengali Hindus, Bengali Christians, and Bengali Buddhists. In modern usage, "Bengali" or "Bangali" is used to refer to anyone whose linguistic, cultural, family ancestral or genetic origins are from Bengal. Their ethnonym is derived from the ancient Banga or Bangla. The exact origin of the word Bangla is unknown, though it is believed to be derived from the Dravidian-speaking tribe Bang/Banga that settled in the area around the year 2500 BCE. Other accounts speculate that the name is derived from Venga (Bôngo), which came from the Austric word "Bonga" meaning the Sun-god. According to the Mahabharata, the Puranas and the Harivamsha, Vanga was one of the adopted sons of King Vali who founded the Vanga Kingdom. It was either under Magadh or under Kalinga Rules except few years under Pals.The Muslim accounts refer that "Bong", a son of Hind (son of Hām who was a son of Prophet Noah/Nooh) colonised the area for the first time. 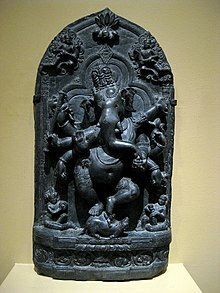 The earliest reference to "Vangala" (Bôngal) has been traced in the Nesari plates (805 CE) of Rashtrakuta Govinda III which speak of Dharmapala as the king of Vangala. The records of Rajendra Chola I of the Chola dynasty, who invaded Bengal in the 11th century, speak of Govindachandra as the ruler of Vangaladesa. Shams-ud-din Ilyas Shah took the title "Shah-e-Bangla" and united the whole region under one government. An interesting theory of the origin of the name is provided by Abu'l-Fazl in his Ain-i-Akbari. According to him, "The original name of Bengal was Bung, and the suffix "al" came to be added to it from the fact that the ancient rajahs of this land raised mounds of earth 10 feet high and 20 in breadth in lowlands at the foot of the hills which were called "al". From this suffix added to the Bung, the name Bengal arose and gained currency". Archaeologists have discovered remnants of a 4,000-year-old Chalcolithic civilisation in the greater Bengal region, and believe the finds are one of the earliest signs of settlement in the region. However, evidence of much older Palaeolithic human habitations were found in the form of a stone implement and a hand axe in Rangamati and Feni districts of Bangladesh. The origin of the word Bangla ~ Bengal is unknown, though it is believed to be derived from a tribe called Bang that settled in the area around the year 1000 BCE. Kingdoms of Pundra and Vanga were formed in Bengal and were first described in the Atharvaveda around 1000 BCE as well as in Hindu epic Mahabharata. Anga and later Magadha expanded to include most of the Bihar and Bengal regions. It was one of the four main kingdoms of India at the time of Buddha and was one of the sixteen Mahajanapadas. 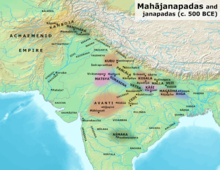 Under the Maurya Empire founded by Chandragupta Maurya, Magadha extended over nearly all of South Asia, including parts of Balochistan and Afghanistan, reaching its greatest extent under the Buddhist emperor Ashoka the Great in the 3rd century BCE. One of the earliest foreign references to Bengal is the mention of a land ruled by the king Xandrammes named Gangaridai by the Greeks around 100 BCE. The word is speculated to have come from Gangahrd ('Land with the Ganges in its heart') in reference to an area in Bengal. Later from the 3rd to the 6th centuries CE, the kingdom of Magadha served as the seat of the Gupta Empire. One of the first recorded independent kings of Bengal was Shashanka, reigning around the early 7th century. After a period of anarchy, Gopala came to power in 750. He founded the Bengali Buddhist Pala Empire which ruled the region for four hundred years, and expanded across much of Southern Asia: from Assam in the northeast, to Kabul in the west, and to Andhra Pradesh in the south. Atisha was a renowned Bengali Buddhist teacher who was instrumental in the revival of Buddhism in Tibet and also held the position of Abbot at the Vikramshila university. Tilopa was also from the Bengal region. The Pala Empire enjoyed relations with the Srivijaya Empire, the Tibetan Empire, and the Arab Abbasid Caliphate. Islam first appeared in Bengal during Pala rule, as a result of increased trade between Bengal and the Middle East. The Pala dynasty was later followed by a shorter reign of the Hindu Sena Empire. Islam was introduced to Bengal in the twelfth century by Sufi missionaries. Subsequent Muslim conquests helped spread Islam throughout the region. Bakhtiar Khalji, a Turkic general of the Slave dynasty of Delhi Sultanate, defeated Lakshman Sen of the Sena dynasty and conquered large parts of Bengal. Consequently, the region was ruled by dynasties of sultans and feudal lords under the Bengal Sultanate for the next few hundred years. Islam was introduced to the Sylhet region by the Muslim saint Shah Jalal in the early 14th century. A Bengali woman in Dhaka clad in fine Bengali muslin, 18th century. The Mughal Empire conquered Bengal in the 16th century. Mughal general Man Singh conquered parts of Bengal including Dhaka during the time of Emperor Akbar. A few Rajput tribes from his army permanently settled around Dhaka and surrounding lands. Later, in the early 17th century, Islam Khan conquered all of Bengal. However, administration by governors appointed by the court of the Mughal Empire gave way to semi-independence of the area under the Nawabs of Murshidabad, who nominally respected the sovereignty of the Mughals in Delhi. The Bengal Subah province in the Mughal Empire was the wealthiest state in the subcontinent. Bengal's trade and wealth impressed the Mughals so much that it was described as the Paradise of the Nations by the Mughal Emperors. 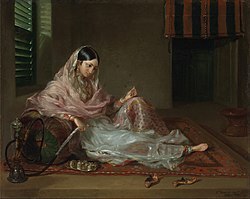 Under Mughal rule, Bengal was a center of the worldwide muslin and silk trades. During the Mughal era, the most important center of cotton production was Bengal, particularly around its capital city of Dhaka, leading to muslin being called "daka" in distant markets such as Central Asia. Domestically, much of India depended on Bengali products such as rice, silks and cotton textiles. Overseas, Europeans depended on Bengali products such as cotton textiles, silks and opium; Bengal accounted for 40% of Dutch imports from Asia, for example, including more than 50% of textiles and around 80% of silks. From Bengal, saltpeter was also shipped to Europe, opium was sold in Indonesia, raw silk was exported to Japan and the Netherlands, cotton and silk textiles were exported to Europe, Indonesia, and Japan, cotton cloth was exported to the Americas and the Indian Ocean. Bengal also had a large shipbuilding industry. Economic historian Indrajit Ray estimates shipbuilding output of Bengal during the sixteenth and seventeenth centuries at 223,250 tons annually, compared with 23,061 tons produced in nineteen colonies in North America from 1769 to 1771. After the weakening of the Mughal Empire with the death of Emperor Aurangzeb in 1707, Bengal was ruled independently by the Nawabs until 1757, when the region was annexed by the East India Company after the Battle of Plassey. In Bengal effective political and military power was transferred from the old regime to the British East India Company around 1757–65.Company rule in India began under the Bengal Presidency. Calcutta was named the capital of British India in 1772. The presidency was run by a military-civil administration, including the Bengal Army, and had the world's sixth earliest railway network. Great Bengal famines struck several times during colonial rule, notably the Great Bengal famine of 1770 and Bengal famine of 1943, each killing millions of Bengalis. Under British rule, Bengal experienced deindustrialization. The Indian Rebellion of 1857 was initiated on the outskirts of Calcutta, and spread to Dhaka, Chittagong, Jalpaiguri, Sylhet and Agartala, in solidarity with revolts in North India. The failure of the rebellion led to the abolishment of the Mughal Court and direct rule by the British Raj. Bengal renaissance refers to a socio-religious reform movement during the nineteenth and early twentieth centuries, centered around the city of Calcutta and predominantly led by upper caste Bengali Hindus under the patronage of the British Raj who created a reformed religion called Brahmo dharma. Historian Nitish Sengupta describes the Bengal renaissance as having started with reformer and humanitarian Raja Ram Mohan Roy (1775–1833), considered the "Father of the Bengal renaissance", and ended with Asia's first Nobel laureate Rabindranath Tagore (1861–1941). Nineteenth-century Bengal was a unique blend of religious and social reformers, scholars, literary giants, journalists, patriotic orators and scientists, all merging to form the image of a renaissance, and marked the transition from 'medieval' to 'modern'. Other figures have been considered to be part of the renaissance. Swami Vivekananda is considered a key figure in the introduction of Vedanta and Yoga in Europe and America and is credited with raising interfaith awareness, and bringing Hinduism to the status of a world religion during the 1800s. Jagadish Chandra Bose was a Bengali polymath: a physicist, biologist, botanist, archaeologist, and writer of science fiction who pioneered the investigation of radio and microwave optics, made significant contributions to plant science, and laid the foundations of experimental science in the Indian subcontinent. He is considered one of the fathers of radio science, and is also considered the father of Bengali science fiction. Satyendra Nath Bose was a Bengali physicist, specializing in mathematical physics. He is best known for his work on quantum mechanics in the early 1920s, providing the foundation for Bose–Einstein statistics and the theory of the Bose–Einstein condensate. He is honoured as the namesake of the boson. According to Nitish Sengupta, though the Bengal renaissance was the "culmination of the process of emergence of the cultural characteristics of the Bengali people that had started in the age of Hussein Shah, it remained predominantly Hindu and only partially Muslim." There were, nevertheless, examples of Muslim intellectuals such as Syed Ameer Ali, Mosharraf Hussain, Sake Dean Mahomed, Kazi Nazrul Islam, and Roquia Sakhawat Hussain. The Freedom of Intellect Movement sought to challenge religious and social dogma in Bengali Muslim society. Bengal played a major role in the Indian independence movement, in which revolutionary groups such as Anushilan Samiti and Jugantar were dominant. Many of the early proponents of the independence struggle, and subsequent leaders in the movement were Bengalis such as Chittaranjan Das, Khwaja Salimullah, Surendranath Banerjea, Huseyn Shaheed Suhrawardy, Netaji Subhas Chandra Bose, Titumir (Sayyid Mir Nisar Ali), Prafulla Chaki, A. K. Fazlul Huq, Maulana Abdul Hamid Khan Bhashani, Bagha Jatin, Khudiram Bose, Surya Sen, Binoy-Badal-Dinesh, Sarojini Naidu, Aurobindo Ghosh, Rashbehari Bose, and Sachindranath Sanyal. Some of these leaders, such as Netaji, who was born, raised and educated at Cuttack in Odisha did not subscribe to the view that non-violent civil disobedience was the best way to achieve Indian Independence, and were instrumental in armed resistance against the British force. Netaji was the co-founder and leader of the Japanese-aligned Indian National Army (distinct from the army of British India) that challenged British forces in several parts of India. He was also the head of state of a parallel regime, the Arzi Hukumat-e-Azad Hind. Bengal was also the fostering ground for several prominent revolutionary organisations, the most notable of which was Anushilan Samiti. A number of Bengalis died during the independence movement and many were imprisoned in Cellular Jail, the notorious prison in Andaman. The rise of self-determination and Bengali nationalism movements in East Bengal, led by Mujibur Rahman, culminated in the 1971 Bangladesh Liberation War against the Pakistani military junta. An estimated 3 million (3,000,000) people died in the conflict, particularly as a result of the 1971 Bangladesh genocide. The war caused millions of East Pakistani refugees to take shelter in India's Bengali state West Bengal, with Calcutta, the capital of West Bengal province, becoming the capital-in-exile of the Provisional Government of Bangladesh. The Mukti Bahini guerrilla forces waged a nine-month war against the Pakistani military. The conflict ended after the Indian Armed Forces intervened on the side of Bangladeshi forces in the final two weeks of the war, which ended with the Surrender of Pakistan and the liberation of Dhaka on 16 December 1971. Bengali cuisine is the culinary style originating in Bengal, a region of the Indian subcontinent which is now located in Bangladesh and West Bengal. Some Indian regions like Tripura, Shillong and the Barak Valley region of Assam (in India) also have large native Bengali populations and share this cuisine. With an emphasis on fish, vegetables, and milk served with rice as a staple diet, Bengali cuisine is known for its subtle flavours, and its huge spread of confectioneries and desserts. It also has the only traditionally developed multi-course tradition from the Indian subcontinent that is analogous in structure to the modern service à la russe style of French cuisine, with food served course-wise rather than all at once. Bengalis celebrate the major holidays of the Muslim and Hindu faiths. For Muslims, these include Eid-ul-Azha, Eid-ul-Fitr, and Muharram. Although Bengali Hindus observe Holi, Diwali, and other important religious festivals, Durga Puja is the biggest and most important to them. Dedicated to the goddess Durga, who is a manifestation of Shakti, the festivities last for five days. Months before the festival, special clay idols of Durga and her children are made. These show her mounted on a lion and killing the evil demon Mahishasura. These lavishly painted and decorated idols are displayed and worshipped on each day of the festival in the pandals and at homes. On the tenth day, the idols are decorated with flowers and carried through the streets in processions. The procession makes its way to a river or other body of water, where the image of Durga is immersed in the water. Bengali or Bangla is the language native to the region of Bengal, which comprises present-day Bangladesh and the Indian states of West Bengal, Tripura and southern Assam. It is written using the Bengali script. With about 250 million native and about 300 million total speakers worldwide, Bengali is one of the most spoken languages, ranked seventh in the world. The National Anthem of Bangladesh, National Anthem of India and the National Song of India were first composed in the Bengali language. Bangals: This is a term used predominantly in Indian West Bengal to refer to East Bengalis - i.e. Bangladeshis as well as those whose ancestors originate from Eastern Bengal. The East Bengali dialects are known as Bangali. This group constitutes the majority of ethnic Bengalis. Ghotis: This is the term favoured by the natives of West Bengal to distinguish themselves from other Bengalis. They are also colloquially known as Bengolis in Bangladesh on account of their commonly used Anglicised pronunciation of the word. Sylhetis: Known for their unique Sylheti language and culture. Also considered as a separate ethnic group. They are indigenous to the Sylhet region of Bangladesh and Barak valley of Assam. They refer to Bengalis from outside of Sylhet as Abadis. Chittagonians: Natives of the Chittagong region of Bangladesh. They speak in a unique Chittagonian language, locally called 'Chatgaiya', and follow a distinct culture. In Chatgaiya slang, Bengalis from outside Chittagong may be pejoratively referred to as 'Boinga' (বইংজ্ঞা), which literally means vagabond (ভাদাইম্মা) or alien - however, this use is extremely colloquial and considered unacceptable in formal Chittagong culture. Rohingyas: Sometimes considered a distinct ethnic group, they are natives of Arakan in Myanmar. The earliest extant work in Bengali literature is the Charyapada, a collection of Buddhist mystic songs dating back to the 10th and 11th centuries. Thereafter, the timeline of Bengali literature is divided into two periods: medieval (1360–1800) and modern (1800–present). Bengali literature is one of the most enriched bodies of literature in Modern India and Bangladesh. The first works in Bengali, written in new Bengali, appeared between 10th and 12th centuries CE It is generally known as the Charyapada. These are mystic songs composed by various Buddhist seer-poets: Luipada, Kanhapada, Kukkuripada, Chatilpada, Bhusukupada, Kamlipada, Dhendhanpada, Shantipada, Shabarapada, etc. The famous Bengali linguist Haraprasad Shastri discovered the palm-leaf Charyapada manuscript in the Nepal Royal Court Library in 1907. The Middle Bengali Literature is a period in the history of Bengali literature dating from 15th to 18th centuries. Following the Mughal invasion of Bengal in the 13th century, literature in vernacular Bengali began to take shape. The oldest example of Middle Bengali literature is believed to be Shreekrishna Kirtana by Boru Chandidas. In the mid-19th century, Bengali literature gained momentum. During this period, the Bengali Pandits of Fort William College did the tedious work of translating textbooks in Bengali to help teach the British local languages including Bengali. This work played a role in the background in the evolution of Bengali prose. The largest religions practiced in Bengal are Islam and Hinduism. According to 2014 US Department of State estimates, 89.9% of the population of Bangladesh follow Islam while 8.3% follow Hinduism. In West Bengal, Hindus are the majority with 70.54% of the population while Muslims comprise 27.01%. Other religious groups include Buddhists (comprising around 1% of the population in Bangladesh) and Christians. Bengali theater traces its roots to Sanskrit drama under the Gupta Empire in the 4th century CE. It includes narrative forms, song and dance forms, supra-personae forms, performance with scroll paintings, puppet theatre and the processional forms like the Jatra. Bengal has an extremely rich heritage of dancing dating back to antiquity. It includes classical, folk and martial dance traditions. The Bengali contributions to modern science is path breaking in the world's context. Renowned Indian physicist Satyendranath Bose made first calculations to initiate Statistical Mechanics. He first hypothesised, a physically tangible idea of photon. Meghnad Saha contributed to the theorization of Thermal Ionization. Jagadish Chandra Bose first practicalized the wireless radio transmission. But Marconi got recognition for European proximity. He also described for the first time, Plants can respond, by demonstrating with his crescograph, recording the impulse caused by bromination of plant tissue. Bengalis are very active in politics of their region. In West Bengal, India, the chief minister of state is Mamata Banerjee from the party All India Trinamool Congress. In Bangladesh, the Prime Minister of the nation is Sheikh Hasina, belonging to the Awami League party. ^ "Homeless In Karachi". Outlook. Retrieved 2 March 2010. ^ "Falling back". Daily Times. 17 December 2006. Archived from the original on 9 October 2013. Retrieved 25 April 2015. ^ van Schendel, Willem (2005). The Bengal Borderland: Beyond State and Nation in South Asia. Anthem Press. p. 250. ISBN 9781843311454. ^ "2011 Census: Ethnic group, local authorities in the United Kingdom". Office for National Statistics. 11 October 2013. Retrieved 28 February 2015. ^ "Population of Qatar by nationality - 2017 report". Retrieved 7 February 2017. ^ "ASIAN ALONE OR IN ANY COMBINATION BY SELECTED GROUPS: 2015". U.S. Census Bureau. Retrieved 15 October 2015. ^ Aina Nasa (27 July 2017). "More than 1.7 million foreign workers in Malaysia; majority from Indonesia". New Straits Times. Retrieved 22 October 2017. ^ "Kuwait restricts recruitment of male Bangladeshi workers". Dhaka Tribune. 7 September 2016. Retrieved 7 September 2016. ^ "In pursuit of happiness". Korea Herald. 8 October 2012. ^ "Bangladeshis in Singapore". High Commission of Bangladesh, Singapore. Archived from the original on 3 November 2014. ^ "Bahrain: Foreign population by country of citizenship". gulfmigration.eu. Retrieved 1 January 2015. ^ "NHS Profile, Canada, 2011, Census Data". Government of Canada, Statistics Canada. 8 May 2013. Retrieved 4 February 2015. ^ "バングラデシュ人民共和国（People's Republic of Bangladesh）". Ministry of Foreign Affairs (Japan) (in Japanese). Retrieved 29 October 2017. ^ a b "Data on Religion". Census of India (2001). Office of the Registrar General & Census Commissioner, India. Retrieved 26 August 2006. ^ "Bangalees and indigenous people shake hands on peace prospects". Dhaka Tribune. Retrieved 16 April 2017. ^ "PART I ¶ THE REPUBLIC ¶ THE CONSTITUTION OF THE PEOPLE'S REPUBLIC OF BANGLADESH". Ministry of Law, Justice and Parliamentary Affairs. 2010. Retrieved 9 September 2017. ^ roughly 163 million in Bangladesh and 100 million in India (CIA Factbook 2014 estimates, numbers subject to rapid population growth); about 3 million Bangladeshis in the Middle East, 1 million Bengalis in Pakistan, 0.4 million British Bangladeshi. ^ "50th REPORT OF THE COMMISSIONER FOR LINGUISTIC MINORITIES IN INDIA" (PDF). nclm.nic.in. Ministry of Minority Affairs. Archived from the original (PDF) on 8 July 2016. Retrieved 2 November 2018. ^ a b James Heitzman and Robert L. Worden, ed. (1989). "Early History, 1000 B. C.-A. D. 1202". Bangladesh: A country study. Library of Congress. ^ "4000-year old settlement unearthed in Bangladesh". Xinhua. 12 March 2006. Archived from the original on 10 May 2007. ^ "History of Bangladesh". Bangladesh Student Association @ TTU. Archived from the original on 26 December 2005. Retrieved 26 October 2006. ^ Chowdhury, AM (2012). "Gangaridai". In Islam, Sirajul; Jamal, Ahmed A. Banglapedia: National Encyclopedia of Bangladesh (Second ed.). Asiatic Society of Bangladesh. ^ Bhattacharyya, PK (2012). "Shashanka". In Islam, Sirajul; Jamal, Ahmed A. Banglapedia: National Encyclopedia of Bangladesh (Second ed.). Asiatic Society of Bangladesh. ^ Sen, Sailendra Nath (1999) [First published 1988]. Ancient Indian History and Civilization. New Age International. pp. 277–. ISBN 978-81-224-1198-0. ^ Raj Kumar (2003). Essays on Ancient India. Discovery Publishing House. p. 199. ISBN 978-81-7141-682-0. ^ Karim, Abdul (2012). "Islam, Bengal". In Islam, Sirajul; Jamal, Ahmed A. Banglapedia: National Encyclopedia of Bangladesh (Second ed.). Asiatic Society of Bangladesh. ^ A Collection of Treaties and Engagements with the Native Princes and States of Asia: Concluded on Behalf of the East India Company by the British Governments in India, Viz. by the Government of Bengal Etc. : Also Copies of Sunnuds Or Grants of Certain Privileges and Imunities to the East India Company by the Mogul and Other Native Princes of Hindustan. United East-India Company. 1812. p. 28. Retrieved 23 August 2013. ^ Giorgio Riello, Tirthankar Roy (2009). How India Clothed the World: The World of South Asian Textiles, 1500–1850. Brill Publishers. p. 174. ISBN 9789047429975. ^ Indrajit Ray (2011). Bengal Industries and the British Industrial Revolution (1757–1857). Routledge. p. 174. ISBN 978-1-136-82552-1. ^ Baten, Jörg (2016). A History of the Global Economy. From 1500 to the Present. Cambridge University Press. p. 251. ISBN 9781107507180. ^ Indrajit Ray (2011). Bengal Industries and the British Industrial Revolution (1757–1857). Routledge. pp. 7–10. ISBN 978-1-136-82552-1. ^ "A versatile genius". Frontline. Vol. 21 no. 24. 3 December 2004. Archived from the original on 3 February 2009. ^ Sen, A. K. (1997). "Sir J.C. Bose and radio science". Microwave Symposium Digest. IEEE MTT-S International Microwave Symposium. Denver, CO: IEEE. pp. 557–560. doi:10.1109/MWSYM.1997.602854. ISBN 0-7803-3814-6. ^ a b Nitish Sengupta (2001). History of the Bengali-speaking People. UBS Publishers' Distributors. p. 213. ISBN 978-81-7476-355-6. ^ "Statistical Summaries". Ethnologue. 2012. Retrieved 23 May 2012. ^ Huq, Mohammad Daniul; Sarkar, Pabitra (2012). "Bangla Language". In Islam, Sirajul; Jamal, Ahmed A. Banglapedia: National Encyclopedia of Bangladesh (Second ed.). Asiatic Society of Bangladesh. ^ Hasan, Sheikh Mehedi (2012). "Dance". In Islam, Sirajul; Jamal, Ahmed A. Banglapedia: National Encyclopedia of Bangladesh (Second ed.). Asiatic Society of Bangladesh. ^ Ahmed, Wakil (2012). "Folk Dances". In Islam, Sirajul; Jamal, Ahmed A. Banglapedia: National Encyclopedia of Bangladesh (Second ed.). Asiatic Society of Bangladesh. Sengupta, Nitish (2001). History of the Bengali-speaking People. UBS Publishers' Distributors. p. 554. ISBN 978-81-7476-355-6.